Authentic, original campaign item. 3x2 inch. 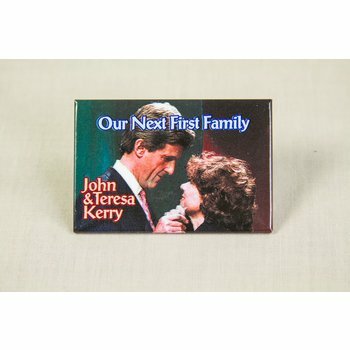 Color photo button with lettering "Our Next First Family John & Teresa Kerry." All campaign items are in good vintage condition. Authentic, original campaign item. 2 1/4 inch. 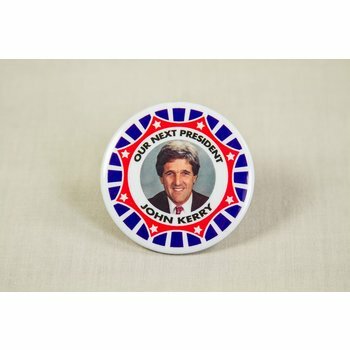 Color photo button with lettering "Our Next President John Kerry." All campaign items are in good vintage condition.